Sun Realty understands that it doesn't feel right to leave your four-legged family member behind. Fortunately, you don't have to worry about pet sitters or kennels when you vacation with us, as Sun Realty offers the largest selection of pet-friendly vacation rentals along the Outer Banks of North Carolina. From affordable condos and beach cottages, to large, multi-bedroom vacation homes; Sun Realty is proud to represent pet-friendly vacations that meet any budget or need. While browsing through the available pet-friendly rentals that we offer, look for specific details that can not only cater to your pet but can also save space while packing the family car. A number of rental properties offer pet-friendly amenities to accommodate such a vacation. Look for items such as dog pens in the shade, kennels for you to use while you’re away from the house, leads, outside showers, provided food and water bowls, as well as fenced-in yards. This will not only ensure that you’re saving space while packing, but also provide the peace of mind that you are choosing the right property that both you and your dog can relax at. A vacation at the beach is all about the beach, right? Not with your pet by your side! Why not see more of the area while walking your furry friend? The Outer Banks offers multiple walking paths, perfect for morning walks or evening strolls. Explore residential neighborhoods tucked away in maritime forests and alongside the beaches, go from shop to shop in areas like Duck and Roanoke Island, or watch the sun set within a soundfront community. 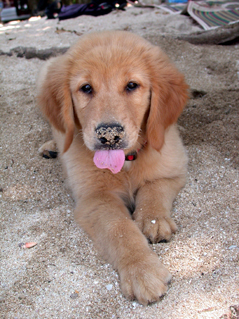 There are also dog parks located throughout the islands so make sure to locate one closest to you while on vacation. In addition to walking paths, shopping and dog parks, another hidden gem on the Outer Banks is a public sound access. What’s better for your dog than retrieving a thrown ball while swimming? If your furry friend likes to do just this, then finding a local sound access should be on your list of things to do. The waters in the sound are relatively shallow and allow your pet to swim without the waves, strong ocean current, or other beachgoers that the beach itself tends to offer. Common characteristics of a sound access include docks that extend out into the water, small, sandy shores, and shaded areas under trees. With these features, you are able to toss a ball off of a small dock, allow them to swim around as you bask in the sun, and have a picnic under the shade, allowing them to stay cool. With so much to see and explore on the Outer Banks, a vacation with your pet is so much more than sand. Regardless of the area in which you are staying, bringing your pet along with you while vacationing with Sun Realty is rewarding and memorable. To ensure that your upcoming vacation with your furry family member goes smoothly, we've put together a variety of tips and resources that will help while planning, traveling, and visiting the Outer Banks of NC. Please refer to the links below to learn more about Outer Banks leash laws, beach safety tips, and pet-friendly areas on the OBX. Make sure to visit Sun Realty's Pet Club Photo Gallery to see pictures of some of our furry vacationers! These beach bums can be spotted swimming in the ocean, lounging at one of our offered rental homes, and enjoying their vacation just as much as their owners. Be sure to take plenty of pictures of your four-legged family member while on vacation, as we would love to feature your furry friend in our Pet Club Photo Gallery. Upload Your Pet's Pictures Now! We provide helpful tips on traveling to the Outer Banks with pets, beach safety guidelines, and some information on doggie first aid. Outer Banks leash laws vary from area to area. Before your Outer Banks vacation, please carefully read over these rules and regulations or watch our quick video guide for leash laws. Islanders on the Outer Banks love pets! There are so many fun pet-friendly activities and destinations for you to explore. There are even pet parties for you to attend. Yappy Hour, anyone?